From the darkest corners of the twisted mind and imagination of ROB ZOMBIE/ex-MARILYN MANSON guitarist John 5 comes his new masterpiece, "Careful With That Axe", the follow-up to 2012's critically acclaimed "God Told Me To". Released digitally on August 12 through 60 Cycle Hum, "Careful With That Axe" is John 5's eighth solo album and features Rodger Carter on drums and Matt Bissonette on bass. The CD's first single, "This Is My Rifle", will be digitally released on June 17. Pre-orders for both the single and "Careful With That Axe" are up now at all online participants. As main axe wielder for ROB ZOMBIE, John 5 obsessively keeps himself busy both on and off the road, incessantly writing, recording, filming and creating. 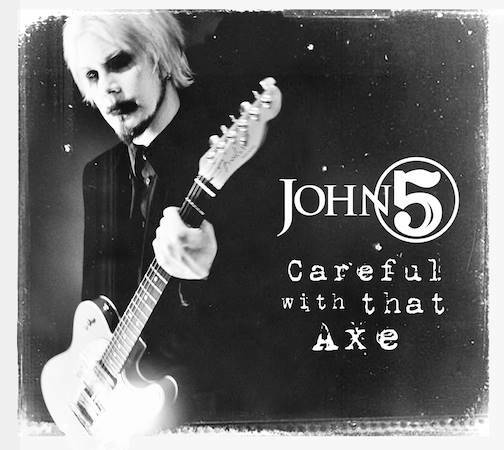 Recorded at The Doghouse Studios in Los Angeles in between tour legs, "Careful With That Axe" was produced by John 5, along with Rodger Carter, and illustrates his musical growth and talents as a guitar player and composer. Carter and Bissonette are in perfect sync, masterfully laying down the musical dreamscape with technical precision. Packed with rapid-fire, machine-gun riffs and musical crescendos, all intertwined with blistering-fast six-string assaults and an eerie sense of melody, John 5 leads you on a macabre journey through the twisted minds of a different brand of ax wielders. With compositions such as "Portrait Of Sidney Sloan", "The Dream Slayer" and "Flight Of The Vulcan Kelly", John draws you in with lightning-fast leads, completely redefining the term "shredding." Not to be pigeonholed into any one particular style, "Careful With That Axe" also showcases John 5's talents and versatility as a guitar virtuoso and musician. From his flawless finger-picking technique on the Latin-flavored "El Cucuy" and his fast, intricate guitar work on the classic Jerry Reed covers "Jerry's Breakdown" and "Jiffy Jam", banjo included, to anthemic "Six Hundred And Sixty Six Pickers In Hell", John 5 gracefully weaves in and out of many different styles ranging from metal and rock, to bluegrass, country & western and flamenco, all harmoniously coming together for his magnum opus "Careful With That Axe". The "Careful With That Axe" artwork includes a photo by Ray Gutierrez of StrangeBeautifulArt, who previously took the pictures for John 5's "The Art Of Malice" album. In a recent interview with Loudwire, John 5 stated about the "Careful With That Axe" album: "It's just crazy, man. 'Careful With That Axe' and all the songtitles are related around axe murders and stuff, so it all comes around and makes sense." 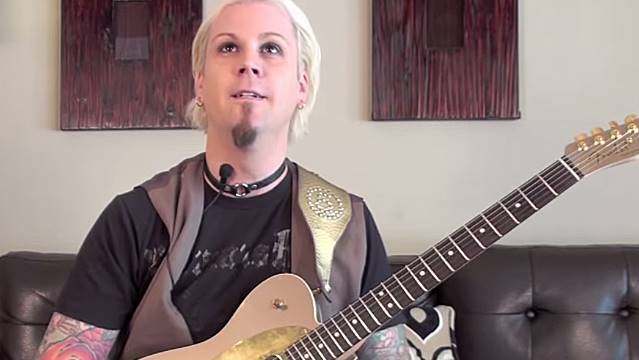 Speaking to Metal Obsession, John 5 said about his forthcoming CD: "If people liked my earlier work, you're going to be really excited about it. It's really intense. It's, like, when you listen to it, it's, like, 'What just happened?' It's really exciting. I can't wait for people to hear it." In a September 2013 interview with Artisan News, John 5 stated about his solo releases: "These albums are a lot of fun. I just do 'em for the love of guitar and to inspire a couple of people on the way… I just really enjoy doing that. It's great. It was one of the smartest things I've ever done. Right when I left MANSON, I was, like, 'OK, so I guess I'll finally make my instrumental record.' And it did really well, and I'm on my sixth one. And I don't do them for money or anything — I just do them for the love of the guitar — and I think the audience really can see that. I'll do something like a Chet Atkins song and then some crazy death metal-type song. So it's a very wide range of music; there's no format and there's no rules."